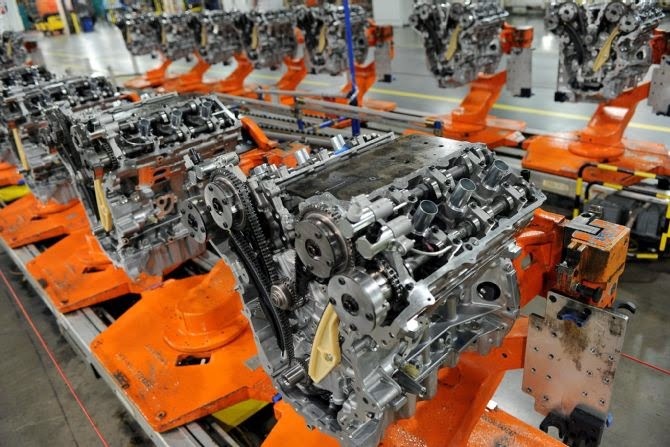 BRIGHTON, Mich - Ford Makes a $500 Million Investment in Lima Engine Plant that will be used towards a plant upgrade as well as the addition of 300 new jobs that will help with production of the all-new 2.7-liter EcoBoost® for the 2015 Ford F-150. The new EcoBoost engine has grown in demand over 600 percent since 2010; the F-150 being responsible for 91 percent of that growth. 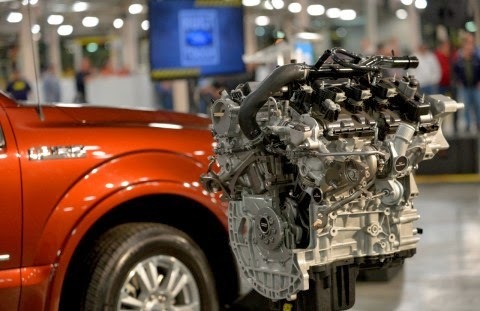 Ford Customers have spoken and the team at the Lima Engine Plant is ready to meet their needs by turning out one of the most technologically advanced engines ever designed. Ford is Making a $500 Million Investment in the Lima Engine Plant that now products the 3.5-liter and 3.7-liter Duratec® V6 engines for several Ford vehicles - such as the Edge and Explorer utilities, the Lincoln MKX crossover, MKT utility and MKZ sedan. Ford's $500 million investment will go towards a flexible engine assembly system and renovation of 700,000 square feet of the plant for other machining and assembly functions. For almost 60 years, Lima Engine has kept Ford and Lincoln vehicles running. The addition of the 2.7-liter to the facility will help create a solid future for both Ford and the workers at this Ohio plant. The latest EcoBoost engine is bringing Ford customers more power and performance in one complete package for the 2015 F-150. The 2.7-liter EcoBoost® uses standard Auto Start-Stop technology that improves overall performance and fuel efficiency. It also has some fine tuning that has been developed especially for truck customers when towing or when using the four-wheel-drive mode. The Auto Start-Stop turns off the engine automatically when the vehicle is at a stop, then restarts immediately when the driver releases the brake. As far as performance goes, the engine's compacted graphite iron and aluminum engine block saves weight as well as provides strength where it is most needed. The Lima Engine Plant will be making changes very soon, being that the all-new 2015 F-150 is set to hit dealerships later this year. You can find the latest in Ford vehicles at Brighton Ford! We have a massive variety of new, used and pre-owned Ford vehicles waiting for you on our lot. Stop by today for a test-drive! Brighton Ford is located at 8240 Grand River Ave. just north of I-96 in Brighton. We are a family owned and operated business that strives for customer satisfaction. For more information on Brighton Ford visit BrightonFord.com or give us a call at (800) 836-8206.